Whether you’re a local from Brissie or right here on the GC or you’ve travelled from chic Melbourne, or from even further, we could all do with a few handy tips on how to make the most out of our holidays. Here at Discover Queensland, we pride ourselves on being the QLD holiday experts and being here to help! So without further ado, here’s our list of how to have the best time at Sea World. 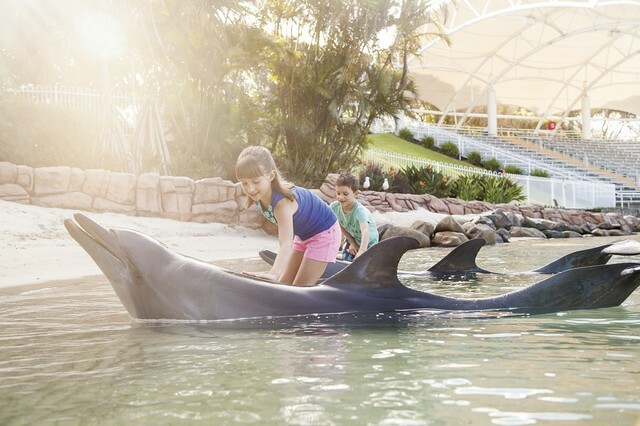 Sea World Resort & Water Park is Australia’s first and only theme park resort – so why not take advantage of this marriage of experiences? You can be the first ones at the park in the morning, pop back to the apartment throughout the day for lunch, and it’s an easy trip home after an action packed day of fun which is especially handy with a pack of worn out munchkins. Queensland is the ‘Sunshine State’ year round, so being prepared for the sun is important, even if you’re visiting in winter. Thongs and a singlet may seem like great options for a day at the theme park, but remember that you’ll be spending much of the day in the sun. Closed in shoes and a T-shirt may save you from resembling Patrick Star the next day. Also, be sure to carry a water bottle and sun screen. Sunnies and a hat will also be your friends. 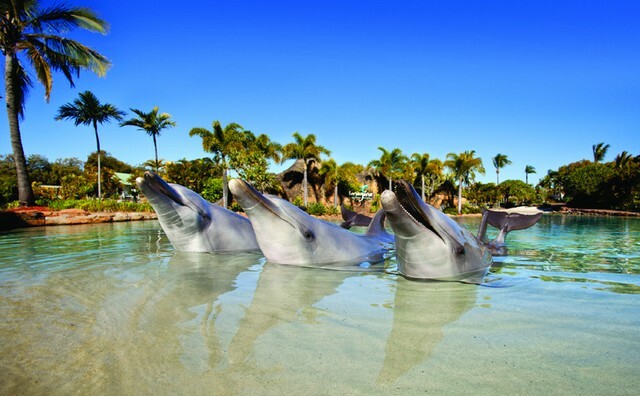 Sea World is an action packed adventure land, quite literally FILLED with things to do. So to save disappointment from running out of time, check what shows are on the day before, or first thing that morning so you can plan your day in advance and make sure everyone gets to experience what they’re really excited about. Our tip is to do the big rides such as the Storm Coaster before lunch time, as sandwiches and roller coasters don’t tend to play nicely together. It’s incredible how much kids take on board when in an engaging environment like Sea World, who are very mindful of making sure their message is that of conservation. Throughout all of the animal presentations, the focus is on SWRRFI’s research (Sea World Research & Rescue Foundation Inc) to gain a better understanding of animals. Learning more about these amazing animals enables the organisation to protect and care for them and their environment better, as well as teach young ones about their part in making it a better world for them. It’s amazing the influence these theme parks can have on their little minds! Want to see the 3.30pm dolphin presentation, but it’s also snack time? Send your eldest or partner to snag the best seats at the show 15 minutes early while you pick up some sandwiches from one of the many cafés or eateries. That way you can enjoy a full tummy and the best seats in the house without missing out! After-all most parents are expert multi-taskers anyway. If you’re visit is just a quick one, then we highly recommend shelling out the extra $7 to experience this water park – the kids will LOVE it. It’s a great way to cool the kids down during the hotter parts of the day, and there are plenty of shaded areas, as well as water slides, tipping bucket, and even a lagoon pool, waterfall, and Patrick Star shooting water from his belly button! Guests of the resort can enjoy the water park any time, and stop by at 8pm for the amazing LED light show that sees the park come alive with stunning special effects, synchronised water jets, and a spectacular musical water fountain. Beat the cue in the morning by arriving 15 to 20 minutes before the gates open at 9.30am will save you precious time. As will taking a photo of your car on your smart phone before you enter the theme park, so you can find it easily when you leave hours later. When you look at your inventory of cameras, phones, toys, nappies, souvenirs, towels, changes of clothes and hats you may start to feel more like a packhorse than parent, luckily for those not staying at the resort there is still the option of lockers, which you can stuff all your items and use throughout the day without having to bear their weight. 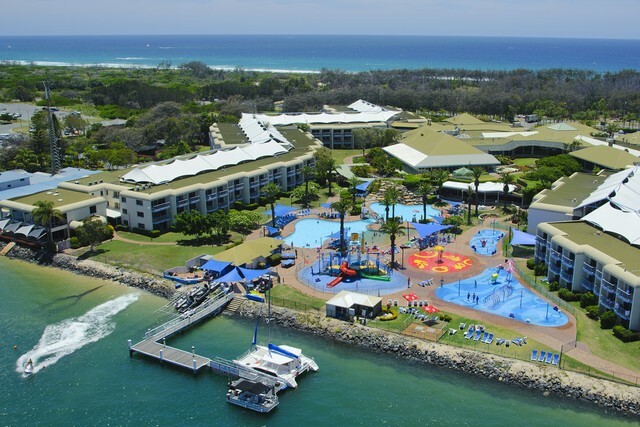 At the end of the day, our first tip is the best one, stay at the resort, it’s a multi-award winning hotel for a reason, and the team at Discover Queensland can find you the best price to get you and your family away on an amazing theme park holiday without breaking the bank. Call us today on 1300 788 553! Palazzo Versace is the evolution of the Versace lifestyle, a place of Renaissance splendour and elegance. The world's first Versace hotel incorporates classically elegant rooms, luxury condominiums and award winning restaurants situated on the Gold Coast Broadwater.